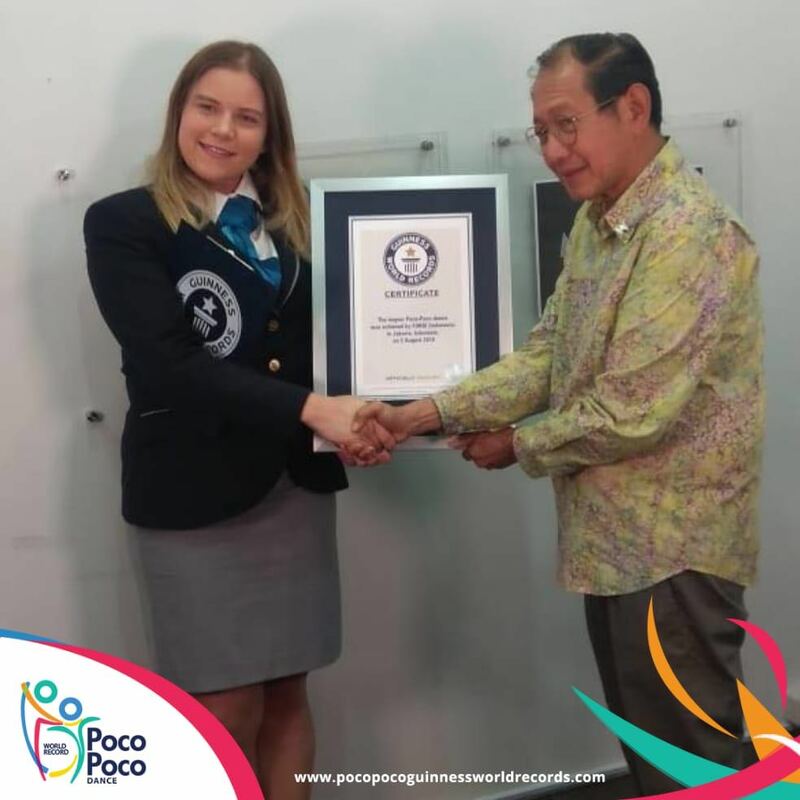 A spectacular ‘POCO POCO’ a traditional Indonesian dance, a dizzying array of 65,000 performers created a new Guinness World Record here on Sunday, for the largest line dance. 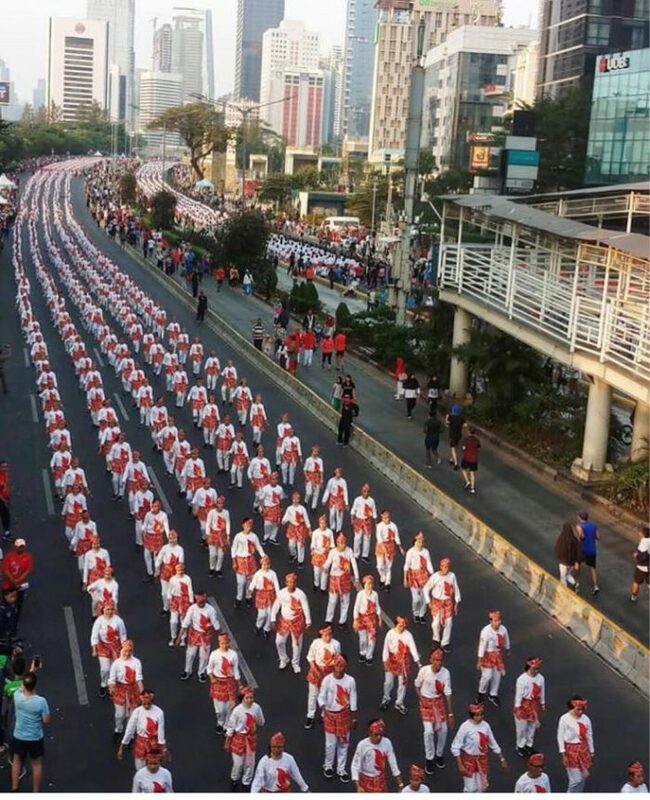 Indonesian President Joko Widodo joined people on the streets of Jakarta on Sunday (Aug 5) to celebrate the upcoming 2018 Asian Games and broke the record at Jl. Sudirman-Jl. MH Thamrin and the National Monument (Monas) in Central Jakarta and it was witnessed by Guinness adjudicator Paulina. The event, which was organized by several government bodies. The performance was arranged by the Asian Games Organizing Committee ahead of the competition, which will be hosted in Jakarta and Palembang from Aug 18 to Sept 2 . The Indian expat community lead by Dancing Feet a troupe which had 50 people majorly comprising of Indian expatriates living in Jakarta joined the euphoria with great team spirit. The dancers were from various age groups: as young as 15 to more than 50 years old.